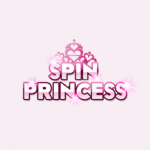 You weekend will start on a good note at Spin Princess UK. 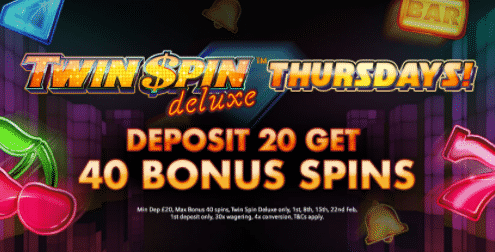 Deposit a minimum amount of 20 Pounds on Thursday and you can get 40 bonus spins on Twin Spin. This applies to your first deposit only. Spin the reels and have tons of fun! Wager the bonus amount 30 times prior to any withdrawals. The conversion from bonus funds is limited to 4xB. Hurry up and get your hands on this bonus right now!